Troy continually abides by the principle of values he learned in the United States Army Reserve and the Washington Army National Guard. He knows that a disciplined approach will bring more accountability to government and better results for families and businesses. 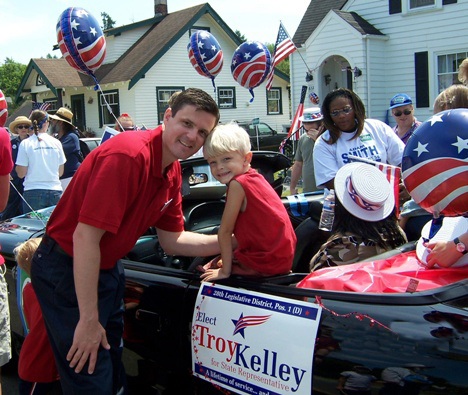 Troy is a hard-working, effective small business owner who believes that locally owned and operated businesses are the linchpin for creating jobs and stimulating our economy. Troy will continue to invest in our small business owners, and be the strong voice that we need in Olympia. Troy lives in Tacoma with his wife and two children who attend our schools. He taught for many years and his wife teaches at the University of Puget Sound. Troy will use this experience to bring real-world insights to our schools’ toughest challenges. Find out more about why he is qualified on Troy's Experience Page!